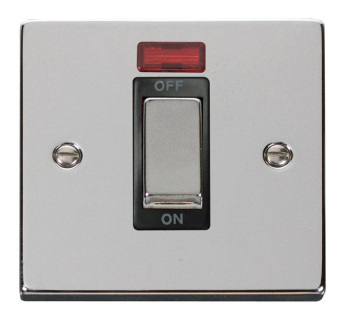 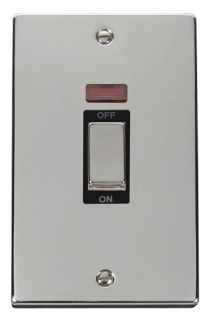 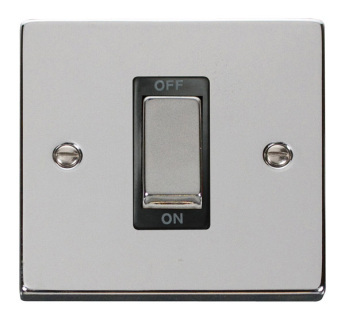 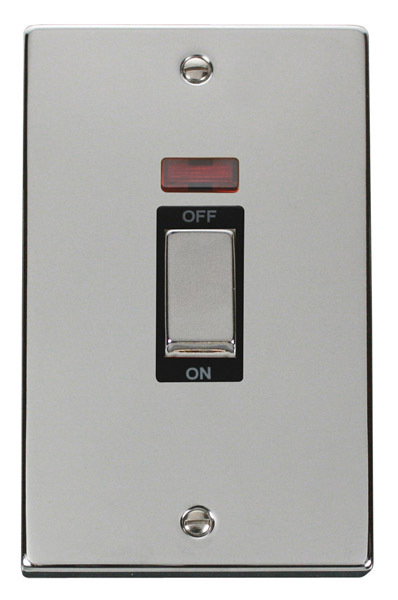 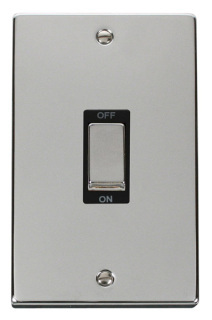 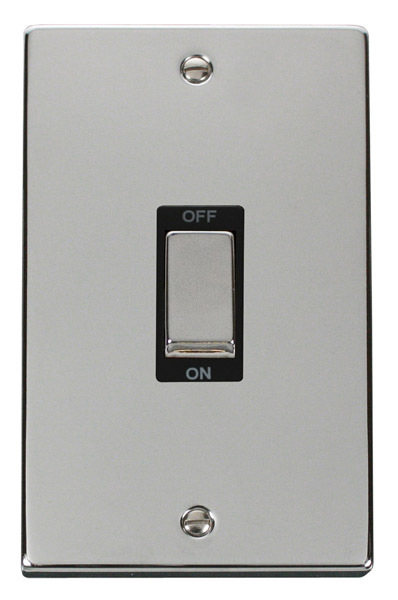 Click Polished Chrome 'Ingot' 1 Gang 45A DP Cooker Switch with black or white Inserts. Click Polished Chrome 'Ingot' 1 Gang 45A DP Cooker Switch complete with Neon with black or white inserts. 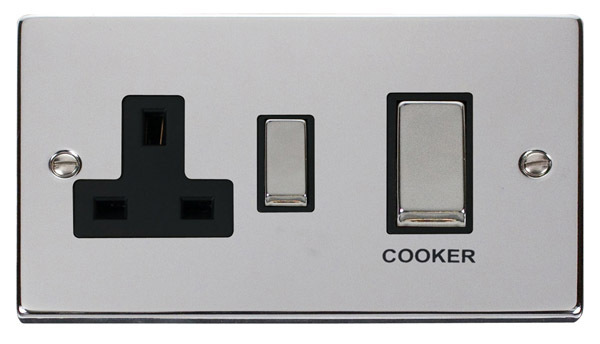 Click Polished Chrome 'Ingot' 2 Gang 45A DP Cooker Switch with black or white inserts. Click Polished Chrome 'Ingot' 2 Gang 45A DP Cooker Switch complete with Neon with black or white inserts. Click Polished Chrome 'Ingot' 45A DP Cooker Switch + 13A Switched Socket with black or white inserts. 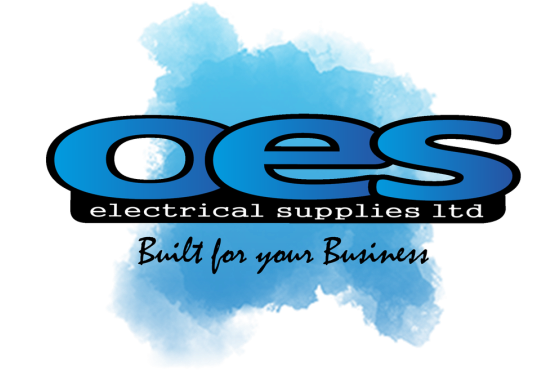 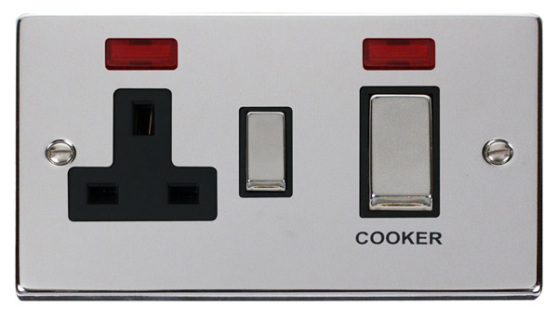 Click Polished Chrome 'Ingot' 45A DP Cooker Switch + 13A Switched Socket & Neons (2) with black or white inserts.